For many of us the new year begins with the best of intentions. It’s not so much that we delude ourselves in committing to resolutions we will never pursue as it is the open calendar before us filled with possibility and promise. What can we do with all of those days between now and the end of the year? The choices are as endless as the opportunities. Almost immediately we start falling behind in our daily tasks. Days into the new year we are already playing catch up. Why can’t we get ahead of our task lists and beat the daily grind into submission? Why can’t we focus on projects and prospects that matter? Why do we spend endless hours on stuff but still waste so much time? Maybe it’s just too easy to kick the can. Difficult challenges don’t sort out themselves. They have to be wrangled and wrestled. That’s the kind of intellectual and emotional commitment that takes the force of will to muster. If you want to achieve meaningful progress, you have to get ahead of your calendar, not let it consume you. Want that glorious promotion at work? It’s not going to find you. Want to make a significant dent in your competition? They aren’t going on vacation to give you breathing room to pounce. Want to learn a new skill, a new language, accelerate your ability in an artistic discipline, or finally figure out why your department is going sideways instead of upward? Those are all really difficult things to do that won’t take place between Facebook posts or tweets. If you want to stop drowning in your dizziness, learn to think proactively. Set your sights on a potential outcome and work your way back to the present. Envision a roadmap and establish a set of checkpoints that will lead you to a better outcome. Own the outcome by owning the process. Most important, you need to do it now. Not in a month. Not in a week. Not tomorrow. Not in an hour. Now means now. Procrastination will cost you your dreams. If you have dreams, you need to act on them. Even if you don’t have dreams, and you should, if you have stuff to do that will make you more successful and personally fulfilled, you need to do it immediately. Not after breakfast. Not after lunch. Not at the day’s end when you are exhausted, pissed off, and want to climb under a blanket. Do it now. I don’t care if you’re busy. We’re all busy. If you are putting off the stuff that matters for busywork, knock it off. Do the hard stuff first. Busywork is a punt. People do busywork to look busy, often at the expense of making a difference. What does it mean to be proactive? It means not waiting to be reactive. Reactive is a deflating death march of punch lists. Proactive is an uplifting rallying cry of planning. Reactive is missing a sales forecast and formulating a remedy to catch up on lost business. Proactive is outpacing a sales forecast by building customer loyalty through surprising and delighting. Reactive is compiling a list of customer complaints bludgeoning customer service. Proactive is regular ride-along listening sessions in customer service to turn suggestions and trends into repeatable wins. Reactive is lowering prices to steal market share with thin margin transactions from customers who will easily abandon you to save pennies. Proactive is designing a brand that is equal parts price, service, and quality so that small fluctuations in price become ignorable noise to your best customers. How do you stop being helplessly reactive? You have to commit to the habits of being a self-starter. You’ll know you’re a self-starter when your boss asks a question in a meeting and everyone looks at you to serve up a suggestion fearlessly. Ready to be a self-starter? You need to move faster. If you thought something was going to take a week, do it in a day. Force yourself to accelerate. You need to act with higher quality. If you thought good enough was going to please a customer, you’re wrong. Exceed their expectations. You need to utilize fewer resources, not more. Use every tool that is available to you and don’t worry about what you don’t have. The formula for reinvention is better, faster, cheaper. Not one, not two, not two and a half, all three. What does being proactive mean? Proactive means to take on a task before someone asks you to do it. It means to finish the task with excellence before someone even knows you started it. Proactive means knocking the stuff off your to-do list that will have an impact, not the maintenance stuff that no one will notice. Proactive means knowing that email is a tool, not a task. Unless you work in customer service, no senior executive is going to promote you because you answered all your email. Proactive means plan for a crisis by avoiding it. If you’re dealing with a surprise crisis, you’re already reactive. Anticipate the crisis. Write down your response to the crisis before it happens. Scenario plan. Have notebooks filled with scenario plans. Proactive means investing in quality assurance testing at five cents on the dollar instead of a product recall at 200 cents on the dollar. There aren’t that many commonalities in the success stories you may admire, but one that holds true is urgency. Setting priorities, making time for abstract planning before reporting memos consume you, carving out blocks of time to schedule the milestones of your challenge — that’s how big things in your life will happen. No outsider will hold you to the promises you make to yourself. You have to decide you want to be proactive. Then you have to remain consistently proactive. Someone has to make change happen. Why not you? Your future outcome is at this moment in the making. Think about how you could be feeling this time next year if only you can get ahead of your day. Being proactive is more than a choice. Being proactive is finding the freedom to make this year a year like no other. I’m not sure what to make of 2017. What we’ve seen this year on the public stage is unlike anything I can remember. We hear casual conversation about whether our elected officials and senior federal employees colluded with Russia to soil our national election. We observe mass shootings like the one in Las Vegas, now so common we barely discuss it a week later and don’t even bother utilizing it to foster a conversation on common-sense gun control. We watch the parade of famous men from all walks of life falling from prominence when confronted with their ghastly predatory behavior. We experience nature’s record storms devastating the southeastern mainland United States and Puerto Rico as we strip down the EPA, deny climate change, and fail to provide adequate resources to those fighting to rebuild their lives. Maybe for you this was just another year. For me it was something different. I can’t get my feet to walk solidly on a path below me. My legs are too shaky. The ground is unfirm. Don’t you wish the President of the United States was a man of grace, wisdom, and compassion whom our children could admire, instead of cementing this image of awfulness in their brains for the rest of their lives? Don’t you wish Harvey Weinstein had been called out decades ago so that dozens of women could have been spared his lurid, violent, inexcusable acts of supremacy and self-importance? Don’t you wish the U.S. Olympic gymnastics team comprised of child champions had been spared the physical and psychological abuse of their team doctor posing as their protector? Don’t you wish that our absolute defense of the First Amendment wasn’t being utilized by racists unashamed to wear swastikas in public and proclaim a new day for Nazi ideology? Don’t you wish that a tax cut for the wealthy was not broadly accepted as an apologia for the reprehensible inattention to human needs our Congress trades for the financial support that keeps them in office? Enough already, right? I told you that for me this wasn’t just another year. This was more than enduring tone-deaf leaders who won’t lead. This wasn’t a year solely to rant. This was a year that tested my belief in fairness. This was a year that took me on an inward journey where I questioned the ability to maintain my values in a world that too often and too easily openly rejects them. This was a year where I wondered if justice was more than an eloquent ideal, and whether healing was possible in a nation that can no longer find common ground in a path forward that invokes a shared understanding of our founding principles. And so I go looking for a hope. Because it’s the holiday season, I am also listening to a lot of Trans-Siberian Orchestra. This music is an annual tradition in our home. Last weekend my wife and I attended the TSO concert in Southern California as we do every year around this time. I’m buying into that. Every hope is worth saving. We cannot give up hope. We’ve had presidents who have talked about that, in metaphor and aspiration. We can lampoon the storybook notion all we want, cynical survivalists that we are, or we can be childlike and share in the embrace of vital idealism. I’m going to try to continue that theme in my writing this year. I can always find snippets in songs that inspire me, but maybe we can find some resets hidden in the hard events surrounding us. Throughout the darkest hours in Puerto Rico, there were quiet acts of selflessness where local individuals stood in ten-hour lines for fuel, foregoing their own ration for an elderly friend. When we see goodness in action, we are reminded that grabbing for oneself has none of the power of building together. I recently saw a TV news story where a judge in Minnesota met repeatedly with a pregnant young heroin addict until she assured him she would get clean and become the mother he believed she could be. He could have gone by the book and sent her away, but instead he invested the time to work with her. Today the mother has a healthy son, and the son has a healthy mother. The national (and hopefully global) awareness of men exploiting women in the workplace is likely to instill new norms of decency in our interactions. If nothing else, the immediate fear of losing everything should shut down a lot of the oppressive behavior that morosely became too common. Deterrent is a good start. Choosing to live by example is where we need to go. Even more than the season of wishes, this is the season of hope. We can grab firmly onto any teetering branch that is reachable and attempt to repair it, or we can walk away from the broken bough and give up against overwhelming odds of measurable impact. Those are difficult words to write without sounding preachy. It is a more difficult promise to make and keep to oneself. We arrive at the end of this year in an awkward place. In my heart I want to move along and tackle new turf, but at the moment I feel stuck. I know I am not alone. We need to get unstuck together. The Houston Astros won the 2017 World Series last week. The Los Angeles Dodgers lost. It was an epic contest. Many have observed it was one of the greatest World Series match-ups in the history of Major League Baseball. It lasted into the mythic and deciding Game 7, crossing tentatively into the month of November, creating the first-ever Game 7 at Dodger Stadium and the first-ever MLB game played in November at Dodger Stadium. This year’s fall classic delivered all of the drama any fan could want from a World Series. There were come-from-behind victories one after another, larger-than-life villains and heroes caught in an explosive discussion of racism, more lazy walks and majestic home runs than most of us could imagine, and two world-class managers locked in a battle of wits. It was an endurance contest. It began in Game 1 at 103 degrees on the sweltering Chavez Ravine field and ended there eight days later some forty degrees cooler. It brought many viewers back to the game who had abandoned baseball for its slow pace in our ever-hectic world. It was the perfect collision of talent and human will emerging from an always imperfect playing season. Only one team could take home the Commissioner’s Trophy. One team did, in a stadium not their own but on a makeshift stage they made their own. The local contenders, who could win only three of seven games, looked on from the home team dugout and watched the award ceremony broadcast to the globe. Behind the blue-flagged dugout sat their fans, also staring vacantly beyond the bright television camera lights with sadness and acceptance. I was among those fans. I slumped in my hardwood seat and watched the grand on-field celebration to my right and the silence of humility to my left. It breaks your heart. It is designed to break your heart. That is the game, where each preliminary round of the postseason always ends in an event called an elimination game, and then the World Series itself winds down to the final elimination game. When your team is eliminated from competition, your season is over. There are no appeals. At the final elimination game, one team is victorious. The other team retains the consolation prize of league champion, but it is increasingly less of a bragging right than it was in professional baseball’s beginnings over a century ago. The eliminated team leaves the field with a broken heart shared with its fans. That is the design. It needs no improvement. A loss is as perfect in its ability to stir emotion as a win means to those who share a parade in the glorious days following the final pitch. So why does any of this matter? Baseball is a business, a big-money enterprise where fans shell out enormous sums of money for ballpark visits, television and internet subscriptions, staggeringly high-margin junk food, proud but ridiculously overpriced authentic field wear, signed souvenirs, trading cards, collectors’ memorabilia, and tiny parking spots where door dings are as much a part of the game as the ceremonial first pitch. Players are traded back and forth late in the season as insurance for a playoff spot, and just because you call it your home team doesn’t mean many of the players on the payroll call it home. Why does it matter? If you are a fan, you have to answer it in your own way. Let me try to answer it in mine. Never mind that the Los Angeles Dodgers, a controversial transplant from Brooklyn today playing in the second-largest media market in the nation, haven’t even appeared in a World Series since 1988, the year ace Clayton Kershaw was born. Never mind that the Dodgers are the team of historic #42 Jackie Robinson, whose jersey number is the only one retired across both the National and American leagues. Never mind that Dodger Stadium, the model for modern stadiums when it opened in 1962, the year I was born, is now the third-oldest stadium among the 30 in MLB. All of that is nice context, but it doesn’t reasonably define why I would feel sorrowful over a loss in Game 7. In fact, in a world plagued by continuing terrorism, nonstop acts of violence, social vitriol, political lunacy, global instability, and wildly unjust economic inequality, why do seven months of three-hour-plus games played day and night on well-manicured fields by young millionaire athletes directed by billionaire ownership groups matter at all? It shouldn’t, right? We’re adults, aren’t we? We’ve got important stuff to worry about, not the velocity of a breaking ball walloped by a carved piece of wood and sailing 400 feet into the bleachers of a 50,000-seat arena. There are the truly tough among us, the ones who can live without illusion, or without even the hope of illusion. I am not that grown-up or up-to-date. I am a simpler creature, tied to more primitive patterns and cycles. I need to think something lasts forever, and it might as well be that state of being that is a game; it might as well be that, in a green field, in the sun. That is why it matters to me. It matters because it lasts all our lives. It dies with the coming of winter and is reborn in the spring. I love the game because my father loved the game. It is essentially the same game, forget the bells and whistles and data analytics and all that newfangled scoreboard jazz. The game no matter what is fully unpredictable to the final out, the alchemy of athleticism, calculating strategy, and too often chance. It is consistent in its ritual routines, relentless in its aggregate simplicity, intoxicating in its repetitiveness. Forever it has broken hearts. We share that from generation to generation, from season to season. It is absolute in its constancy, absolute in its recurring challenge, absolute in its finality — until it comes again. It always comes again. It has to come again. It is designed to break your heart. When your team loses, you internalize the emotion, politely congratulate the winning opponent, and make no excuse for the silliness of the sadness in your obsession with constancy. We all like to win. We all want to win. We all want to be part of winning. Yet more than that, we all want to be part of something that matters because it holds us together with permanence solely because its vitality is assured in its unfailing renewal. The Brooklyn Dodgers, who didn’t win a World Series until 1955, owned the nickname Dem Bums. Each year they lost, Dem Bums and the fans who followed them would finish the season with the same words: “Wait ’til next year.” Dem Bums knew the answer to what you do when your team loses. I’ll see you at the green field next April. Opening Day is traditionally played in the early afternoon. With a little luck the sun will be shining on all of us. How do you know when it’s time to stand firm on a point and when it’s time to cave in and go with the flow? The answer is obvious: You never know, not for sure. The hardest calls are the ones you make alone. You listen intently, gather data, think about the situation, seek counsel from close advisors, but in the end if you decide to take a stand, consider yourself alone. Values, ethics, morals — all of them seem clear on paper when you are reading about someone else’s lapse. That’s called history. You read it in hindsight with reflection. You wonder in amazement at how something so rotten could have been advanced. Looking forward is another problem entirely. If you think making a decision on principle is easy, you probably haven’t yet made a hard one. If you have put yourself on the line for a heartfelt conviction, you know that courage is not something usually acknowledged in the present tense. It is awarded upon completion of a task, win or lose, based on context. In the present you might be called something else entirely: difficult. Whether we have thoroughly thought through an objection to the more genially accepted plan we oppose. Whether dissension without triumph creates any intrinsic value of its own. Whether the cost of standing in isolation is worth it. Let’s think about those three filters as we ponder a few hypothetical but easily applicable real-world examples of standing your ground in the corporate world. Someone Getting Fired Unjustly. Suppose a colleague of yours, Charlie, has somehow become the fall guy for a project that has spiraled wildly off schedule and budget. The project team has found an easy out because your department VP is already known to dislike Charlie, so all the group has to do is subtly throw Charlie under the bus and the clock resets to zero. You don’t particularly like Charlie, but you know he is no more innocent or guilty than anyone else on the wayward team. When you suggest a defense of Charlie to the group, it becomes clear that if you go to bat for the loser, you will be ostracized, And hey, everyone knows the VP has been looking for a way to get rid of Charlie for years, so how are you going to talk her out of it? Bonus Calculations Are Manipulated. You work under a sales leader who is a notorious sandbagger (someone who asserts a goal is a Hail Mary when it’s an underhand toss), but smooth talker that he is, his forecasts go through every year and your team receives handsome bonuses. This year he sets a revenue goal that your team has already achieved with existing repeat business. His plan is approved. This year’s goal is in the bag before the starting gun is even fired, so bonuses will be flowing like water. Then you attend a company meeting and hear the CEO say in earnest that the company is having some critical financial issues this year and will probably lose money unless everyone digs deep for a better outcome. You approach your sales leader and suggest he increases the sales goal so bonuses aren’t paid out of losses. He tells you that you don’t understand the CEO’s game, and if you so much as mention taking up the goal again, you will certainly need to find another sales team, and possibly a new employer. Confidential Information Is Compromised. After months of going in circles and failing to make progress on a design problem, the senior engineer on your team circulates a breakthrough project plan. Your company has been losing market share to a competitor for the last year on inferior feature design at high cost, but at last that is behind you. Late one night when you are building out your portion of the specification, you overhear a conversation where the senior engineer jokes that it only cost him a few thousand dollars cash to hack the competitor’s database and extract the secret sauce that has been causing your company to lose. You approach the senior engineer and tell him you are uncomfortable with what you overheard. He tells you he was just bragging, it was open-source code he found and modified, and he would appreciate it if you didn’t broadcast that because open-source solutions are frowned upon in the company. Is he lying about open-source vs. hacking? Either way, if you speak up you’re going to be responsible for stalling the turnaround. On first blush I’m sure most people considering these scenarios think they would do the right thing, because we all like to believe when faced with a crisis of values, ethical people will choose to act with ethical intent. Now ask yourself this: Do you know someone working beside you who has faced a similar situation and not acted in the appropriate ethical manner? If you do, why haven’t you confronted them? If you have confronted them and they have brushed you off, how far were you willing to pursue the compromise in judgment? Why are you willing to work in an environment where a person like that can get away with something so wrong? Courage is a word that is tossed about without nearly enough care, but understand that in your time on the job you will have multiple opportunities to act courageously or not. Are you ready to put yourself to the test? Are you willing to stand your ground and take what comes with that decision when the consequences may not be reversible? If you want courage to be a descriptor of what your life is about, you’ll need to embrace the notion that poetic justice is much more present in literary fiction than it is in real life. Situational ethics may be a useful convenience, but they aren’t likely to do much for your self-esteem. You only win by doing what is right if your definition of winning is more about who you are than the outcomes you direct. Courage is at the heart of a true leader. It can be costly in the short term, but it will always reflect your character. Standing your ground is not a question of options; it is the challenge of identity. Difficult topics, difficult times. It’s getting hotter out there. Is real conversation still possible? A recent piece in the Wall Street Journal got me thinking about that. It’s by Amanda Ripley, entitled: America, Meet America: Getting Past Our Toxic Partisanship (6/30/17). The author offers a powerful viewpoint on making peace with each other through interaction, in essence, the widened use of “exchange programs” like some of us experienced in high school or college. In many ways the premise is optimistic, even idealistic. People who have direct relationships with each other tend to be kinder to each other and less likely to be outright dismissive of ideological differences. I don’t think it is impossible for us tolerate each other’s differences in the abstract. The problem I see comes with the common allocation of shared resources. When we all pool our dollars into a fund, especially when we are compelled to do so by a tax system, we are likely to have ardent disagreements about how those dollars should be used. That’s when personal philosophy becomes policy, and policy as a matter of democracy is less about consensus than it is about majority opinion. That as we know can be ugly, messy, and leave seeds of resentment, because legislative action transpires on current majorities, but policies once adopted can be difficult to unwind. The problem with compromise is that it does not bridge values. If some people think universal healthcare is a civil right and some don’t, and we all have to pay for it, I don’t think there is a common worldview that bridges our differences. Same with a woman’s right to choose. That means we all become subject to prevailing law, like it or not, unless we wish to break the bounds of prevailing law, which inordinately few would ever consider reasonable. Again this is the sausage making of nightmares. No one stays happy for long, and bitterness has a compounding effect that is exacerbated by social media shorthand and abrupt defensiveness. Where does that leave us? Pragmatism suggests we need coping mechanisms or we become frozen. I think that means we will find comfort in our own circles and collectives. We will begin to ignore rather than constantly confront our opponents and try to sweep hostility under the rug in tending to our lives. What it also means is that the rage is likely to fester, and while it may be convenient to leave well enough alone, it probably means lost opportunity in real unity. Does that mean the U.S will lose global leadership economically and in championing democracy? Yes, I think that’s inevitable. We can’t do big, important things together if we hate each other. We can visit each other and learn to tolerate each other, but commonality of purpose has to be built upon a majority of shared values. It has to be authentic. It can’t be feigned. We are making this choice implicitly by agreeing that noble compromise on certain issues of shared resources is simply not honest or acceptable. We can share roads and bridges across red and blue lines until they crumble, and it will take all the statesmanship we have just to keep noncontroversial initiates functional. To think we can continue to do more than that is not terribly sensible. Thus we all lose together, which is probably the proper outcome of this dialectic. 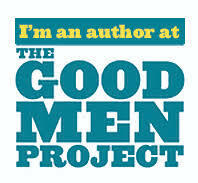 We have been doing some work of late at The Good Men Project that is perhaps itself idealistic. Over the past six months we have expended our subscription service, also known as our premium membership program, to include telephone conference calls on difficult topics. We bring together people of varying opinions into what we call Social Interest Groups, assign a moderator, and allow people to engage across geographic, demographic, and ideological lines to learn from each other. The beta test has been so successful our staff is deploying an Indiegogo campaign to see if they can double or even triple the number of subject offerings and group leaders who are paid a nominal fee for planning the discussions and keeping them on track week to week. I think the project is notable if for no other reason than it celebrates excellent conversation. I’ve suggested on more than one occasion to GMP CEO Lisa Hickey that I think conversation is one of the few high value products we lose over time that is remarkably difficult to commercialize. You remember good conversation, right? Oh, how we miss those long talks with friends and acquaintances about our favorite book, the reasons we go to war, and on wild tangents the meaning of life. What if those conversations could continue in our lives, with new topics and new participants, scheduled periodically for easy attendance, each episode self-contained but the connecting episodes serialized for those who have the time? We thought that might be an interesting way to bridge the divide. Maybe we are optimists at heart. Lisa calls The Good Men Project a “participatory media company” because the content is written by the community and personal interaction within the community is what makes it distinct. We tend not to think of online commenting as the be-all and end-all of social interaction, particularly when it is anonymous. Rather we like the idea of people talking and listening about a complex subject, then thinking about it for a week and returning to talk about it some more. The participation is authentic, and while a certain amount of curation is imposed to maintain editorial standards, we are happiest when we are surprised by learning something we didn’t know before the participatory moment. We also like to think that civility is best achieved through respect, which occurs less through the editorial funnel than it does from exemplary human behavior. Okay, so it can function as a sort of student exchange program. Maybe real dialogue is possible. Maybe inspirational conversation isn’t completely dead. I’d be going overboard if I suggested there might be a big idea here that could circumvent the festering rage that is destroying us, but hey, a good verbal chat each week certainly can’t hurt things. The product is conversation. The value is a bit of connection and a bit of joy through sharing and compassion. I hope this experiment is a beginning. If we don’t find some way to talk to each other, the dark consequences seem as obvious as they are unavoidable.